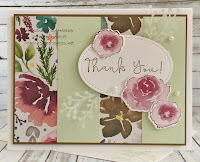 Beautiful paper choices can really make a sketch like this come to life and Heather chose a particularly beautiful Designer Paper matched with some plain cardstock to create her four panels. 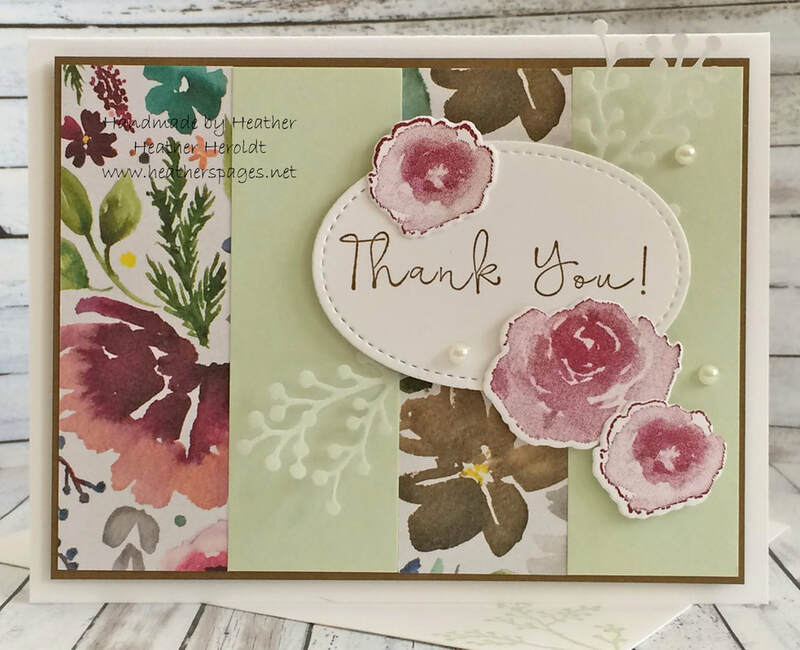 Her coordinating stamps, with their gorgeous watercolour look, give a quadriptych that is elegant and artistic! Well played, Heather. And our Featured Artist is: Sona D.
Sona's mixed media masterpiece features soft neutral tones and a variety of materials in layered perfection. 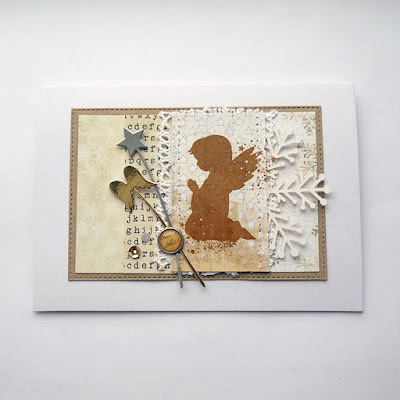 The Design Team loved the kneeling angel silhouette as the focal point, but so many other details around her including the lace, stick pins, snowflake and sequins. There's even some stitching involved in the gorgeous project! Eek! Thanks so much for the pick! And congrats to Sona for her gorgeous card!